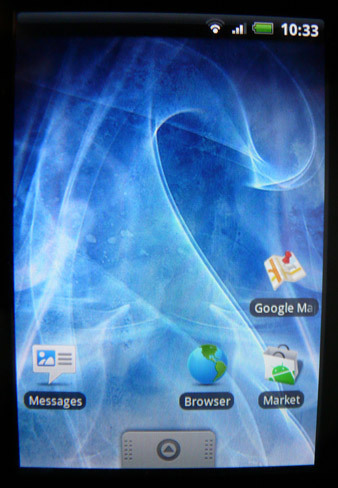 Discussion in 'Android Devices' started by c130, May 31, 2010. I'm using a T-Moble G2 Touch that I've had for about 3 months now, never had any problems with it so far. WHERE'S MY CLOCK, WHERE'S MY MESSAGES, WHERE ARE ALL MY BOOKMARKS, AHHHH. Also note how the menu button at the bottom is different from what I'm used to. I had a look on Google and found this which sounds similar to what's happened to me, except for the bit where I can't change the scene at all. I've tried restarting the phone and done everything suggested in that thread, no luck. If it helps, this is my phone's system info screen. I don't have many custom apps and the only app I use that changes things about the phone's appearance is Better Keyboard, which I've been using for a few weeks. I can't think of anything I might've done to the phone before the problem happened - just checked my emails, watched a vid on Youtube and put the phone away (locked in my car, nobody could've messed with it) for a couple of hours. Came back and it was like this. Ah - just remembered something. Before it happened, when I pressed the Home button a window popped up asking me what I wanted the Home button to do by default - one was show the desktop and I don't remember what the other option was. I don't know why it would've done that because I haven't changed or installed anything since adding Mort Player last month. [edit2] Google-fu tells me the the grey button belongs to Android UI. Does this mean Sense has turned itself off? [edit3] Hooray! The phone's fine, I'm an idiot. 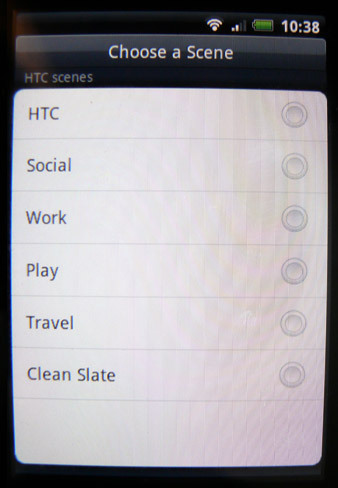 Figured out how to turn Sense back on (Settings --> Applications --> Manage Applications --> HTC Sense --> Clear Data), and now everything's back how I like it. Looks like that popup was offering me Android vs Sense and I didn't realise. I'll just leave this here so anyone else who gets this can fix it.